Last Thursday, Aa package of "fix" bills were moving. The Senate sent two medical marijuana bills to the governor's desk, while the House passed three more bills and sent them to the Senate. Winning final legislative approval were House Bill 1556, which bars the use of teleconferencing to certify a patient for medical marijuana, and House Bill 1402, which would allow the state to reschedule marijuana if the federal government does it first. Meanwhile, the Senate will now take up House Bill 1580, which imposes a 4% sales tax on cultivation facilities and a 4% sales tax on dispensary sales; House Bill 1436, which sets an expiration date for dispensary licenses, and House Bill 1584, which would led regulators issue temporary dispensary or cultivation licenses when the original owner ceases to be in control of the business. On Monday, the Senate killed a bill to ban smoking medical marijuana. The Senate voted 15-10 to reject Senate Bill 357, which would have banned smoking medical marijuana. Bill sponsor Sen. Jason Rapert (R-Conway) argued smoking is a public health hazard and that smoking marijuana is a recreational use, not a medicinal one, but his colleagues were not buying his argument. On Monday, GOP leaders filed an implementation bill that would ban smoking and edibles. Florida voters overwhelmingly approved a medical marijuana initiative in November, but now Rep. Ray Rodrigues (R-Fort Myers) has filed a medical marijuana regulation bill that would ban people from smoking it or using it in edible form. The measure, House Bill 1397, is not yet available on the legislative website. Rodrigues is a member of the Republican House leadership, and the bill represents the Republican approach to expanding medical marijuana access in the state. "It goes further than the current statute in terms of restricting medical marijuana," says Ben Pollara, the medical marijuana initiative's campaign director "There was unanimous agreement that the new amendment would expand use." Last Thursday, a bill to let pharmacies dispense CBD cannabis oil went to the governor's desk. The House Thursday approved Senate Bill 2610, which would amend the state's existing CBD cannabis oil law to allow pharmacies to join the University of Mississippi Medical Center in dispensing the medicine. The bill has already passed the Senate and now heads to the desk of Gov. Phil Bryant (R). On Wednesday, Ulawmakers passed a medical marijuans study bill, but advocates call it a Trojan horse. The House voted to concur with earlier Senate amendments to House Bill 130 and sent it to the desk of Gov. Gary Herbert (R). The bill allows state universities to study cannabinoid products for their medicinal potential, but doesn't allow for any actual use. Medical marijuana advocates called the bill "a Trojan horse," saying it is merely a delaying tactic. 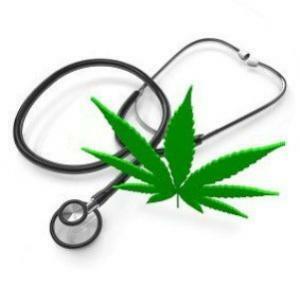 On Monday, a medical marijuana bill was filed. Sen. Patricia Rucker (R-Jefferson) and 11 cosponsors have filed Senate Bill 386 and companion legislation in the House that would allow for the medical use of marijuana by patients with one of a list of qualifying disorders. On Tuesday, the legislature passed a CBD cannabis oil bill. The Assembly voted to approve Senate Bill 10, which would allow for the use of CBD cannabis oil by children suffering seizures. The bill now goes to the desk of Gov. Scott Walker (R), who is expected to sign it.